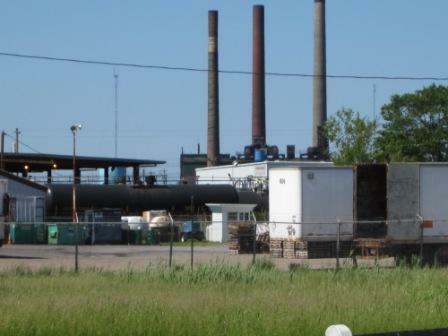 Tonawanda Coke assessment, cleanup underway; completion timeline "open-ended"
The Environmental Protection Agency is now overseeing an on-site assessment and cleanup process at the shuttered Tonawanda Coke site. Both EPA officials and a local environmental advocacy group say this will be a lengthy process, as crews on site undertake numerous tasks to tackle numerous hazards. One month ago, coke production ended at Tonawanda Coke. The ovens were turned off and the systems were purged of any flammable gases. EPA officials are now dealing with problems on the Superfund site including contaminated soil and equipment, leaking tanks, moats filled with hazardous pollutants and runoff. "We are sampling areas we feel may be in need of cleanup work including excavation of contaminant soils and liquids," said Peter Lopez, Regional Administrator for the EPA's Region 2. Work at the site includes finding leaks, monitoring and maintaining systems which are treating plant process water and storm water from the site, securing the site and winterizing equipment such as pipes to prevent bursts which could release contaminants into the local environment. The Clean Air Coalition of Western New York notes that the Tonawanda Coke facility is near residential neighborhoods. They're asking officials to have an emergency plan in place and share it with local authorities. "According to our knowledge there is no fire brigade currently on the site," said Rebecca Newberry, excecutive director of the Clean Air Coalition. "In the case of an accident, in the case of an emergency, we hope that a contingency plan be created ahead of time and shared with the appropriate authorities." Newberry says the EPA has been on site for the past two weeks but added that is hardly enough time to get a full assessment of the cleanup task that lies ahead. "We'e talking about a company that has a long track record of environmental crimes," Newberry said. When asked if there was a timeline for the cleanup project, Lopez called it "open-ended," sharing Newberry's estimation that crews on the scene are only beginning to get a handle on the mess left behind. The coke ovens are empty, the gas lines purged, and shutdown operations at the Tonawanda Coke plant are now complete. The New York State Department of Environmenal Conservation announced late Tuesday afternoon that coke production at Tonawanda Coke Corporation was completely shut down.